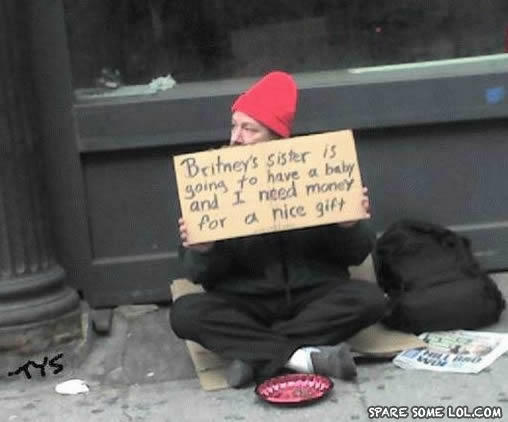 Giving Jamie spears some change? Bin Laden: dang, these pizza guys are so late, this pizza better be free! Bin Laden: yes its finally here! good thing i got my library card cuz im checking you out. i hate people who have library cards.